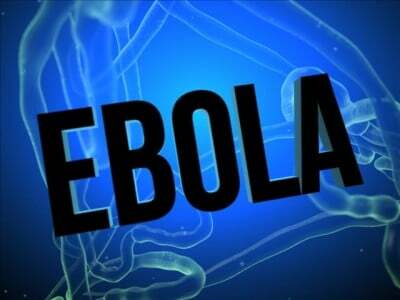 Even though the three states where the Ebola Virus Disease (EVD) struck last year have been declared free of the epidemic, there have been reports of cases over the last several weeks in Liberia. The West African state of Liberia has maintained close ties with the United States since its founding as a republic in 1847. Freed enslaved Africans from the U.S. during the antebellum period and their descendants have constituted the governments inside the country for nearly 170 years. President Ellen Johnson-Sirleaf, one of only two African women who hold such an office on the continent, continues to rely on funding and political direction from Washington. Thousands of Pentagon troops were deployed to Liberia at the height of the EVD crisis during 2014. However, they have been downsized after the number of cases had drastically declined. Nonetheless, recently Liberia has recorded two deaths from the dreaded disease. On July 16 one of the victims, a nurse, died in a hospital in the capital of Monrovia soon after she was checked in. This woman became the sixth case of EVD since it reappeared in June after no cases were reported for over two months. The latest victim lived in Montserrado County, where Monrovia is located. It has been suggested that the case in Monrovia is linked to five others from neighboring Margibi County. Reports say that the nurse was caring for her son who became ill. Health authorities inside the country are tracking up to 140 people who may have had contact with the latest victim. Ever since December 2013 when the most recent epidemic was first recognized, there have been 27,600 EVD cases, with more than 11,000 deaths. Liberia was the hardest hit with more than 4,800 deaths. EVD was first recognized in 1976 in the-then Zaire, now known as the Democratic Republic of Congo (DRC). There have been several outbreaks in nearly four decades with the 2013-2015 epidemic being the most widespread and lethal. The outbreak of EVD in Liberia came only a decade after a 14-year civil war which killed thousands and dislocated many others. The limited infrastructure in existence in the country was severely damaged. This civil war compounded the inherent dependent relations towards the U.S. Since the 1920s, international banking interests and mining corporations have largely controlled the government in Liberia. With inadequate resources to build medical clinics, hospitals and to train healthcare personnel, such an outbreak of EVD was bound to cause extreme distress on the population and the economy. The blockading of large swaths of urban and rural areas during the height of the outbreak took a devastating toll on agricultural production, social services and local commerce. The two other West African states which constituted the epicenter of the largest outbreak during 2013-2015, Guinea and Sierra Leone, have also reported several cases in recent weeks. Sierra Leone, a former British colony, has a similar political history as Liberia. The country was established in the early 19th century for the re-settlement of freed Africans after the conclusion of the war between London and its thirteen colonies in what became known as the U.S. The Liberian civil war during the 1990s spilled over into Sierra Leone doing damage to the society which has still not fully recovered. With the conclusion of the war more than ten years ago, the Pentagon has utilized the country as training ground for the U.S. Africa Command (AFRICOM). Soldiers trained by the U.S. Army Africa, a wing of AFRICOM, had been deployed to Somalia as participants in the African Union Mission to Somalia (AMISOM), which is financed heavily by Washington and the European Union (EU). Lamin further explained that prior to the Ebola outbreak the health sector was already strained with acute shortages of qualified personnel. “The volunteers in the hospitals cannot be relied upon as they are untrained and unpaid”, he stressed. Across the border in Guinea, a former French colony, which has undergone several military mutinies and coups since 1984 when the country’s founder President Ahmed Sekou Toure died, the social and economic conditions have not been conducive to the building of healthcare treatment centers with trained personnel. Guinea has been cited as the source of the origin of the recent outbreak in late 2013 which spread rapidly across its borders into Liberia and Sierra Leone. The World Health Organization (WHO) which monitors the number of cases and coordinates responses in conjunction with the regional government that are the most severely impacted, admits that it had failed in not moving rapidly enough to stem the tide of the epidemic. Although in its recent reports, WHO officials say they are far more prepared to address the recurrent cases that have surfaced over the last few weeks. Meanwhile a trial involving an inhaled vaccine in monkeys has shown positive results according to researchers. Efforts to develop a vaccine have met challenges in West Africa over the last several months with the decline in the number of infections. Researchers working on the vaccine have revealed that the drug is made by Tekmira Pharmaceuticals Corp. and it is supposed to work by blocking the genes that halts the replication of the virus. In another trial, ZMapp, an Ebola drug manufactured by Mapp Biopharmaceutical cured primates in lab experiments. Nonetheless, the primates were infected with another strain of EVD. “We can’t say for certain that an experimental drug that works against one strain will work in another, even if they’re almost identical genetically,” noted Thomas Geisbert of the University of Texas Medical Branch, who is a senior investigator in the study.